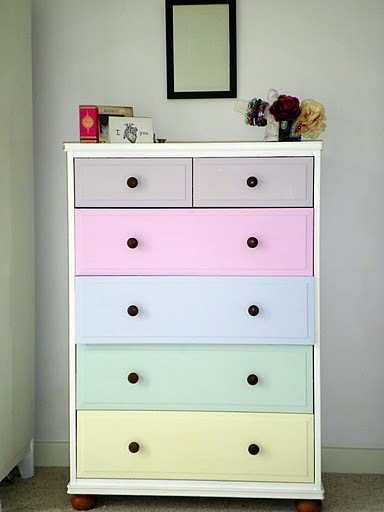 In this category we’re sharing the most interesting furniture and room makeovers that we can find. 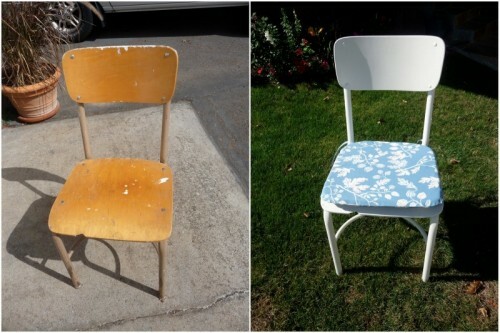 A lot of people can’t even imagine how a little renovation can change things that looks old and ugly. 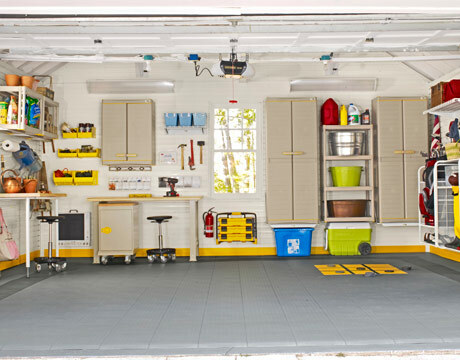 These before and afters could prove them wrong! 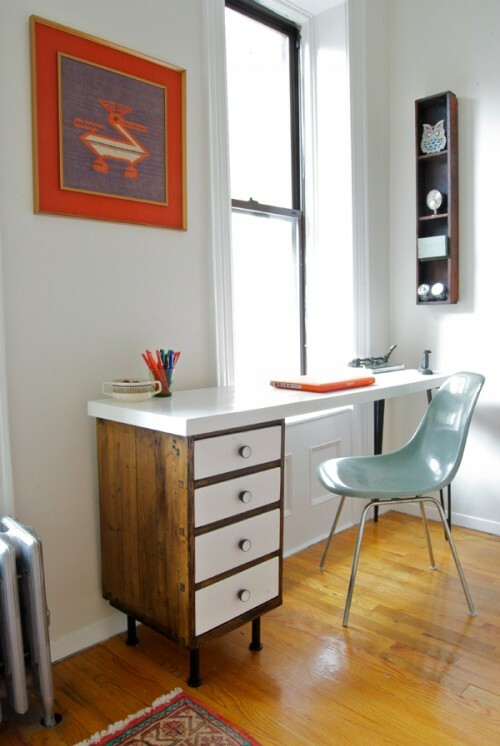 Here is an awesome desk renovation done by Knack. If fell in love with it from the first sight. 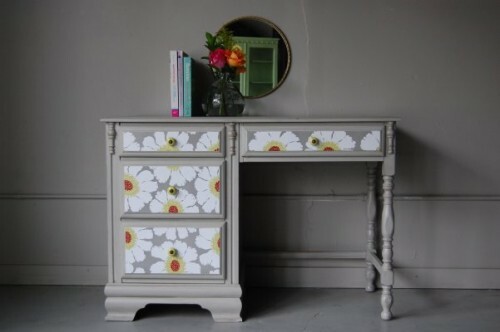 Careful painting in monochrome colors and applying flower patterns on its drawers make the desk looks really fabulous. 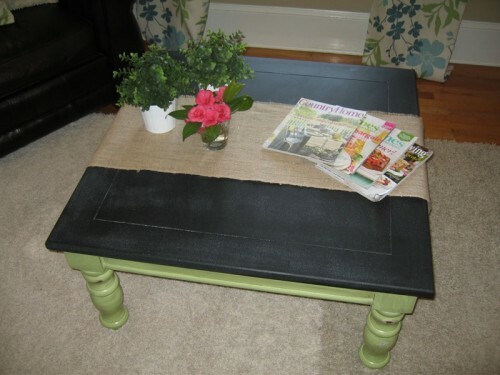 It can now be used as a side table and become an awesome item of decor. 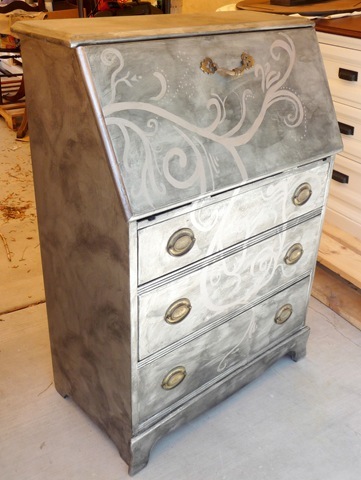 This ugly step cabinet was updated in a few hours of work, and less than $5 by a creative woman behind Metal And Mud blog. 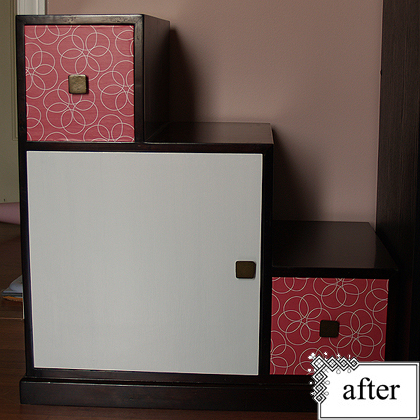 Two smaller drawers were covered with scrapbook paper while the larger one was painted with several coats of glossy white paint. 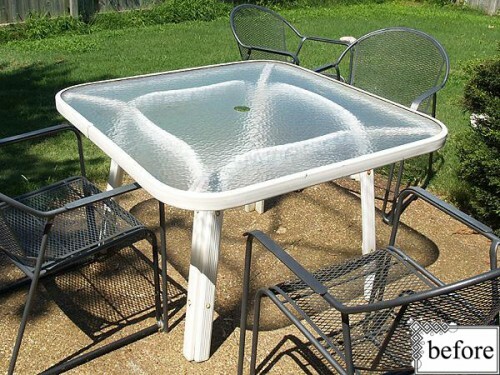 This relatively old patio table was renovated by a creative owner of Metal And Mud blog. 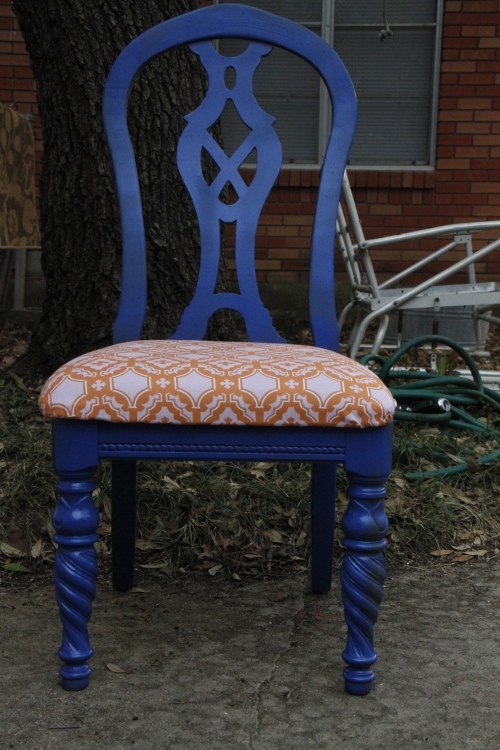 The table’s frame was painted with Valspar “Mediterranean” spray paint. The table’s top was covered with a piece of vinyl tablecloth fabric. The process is simple yet the result is really nice looking.